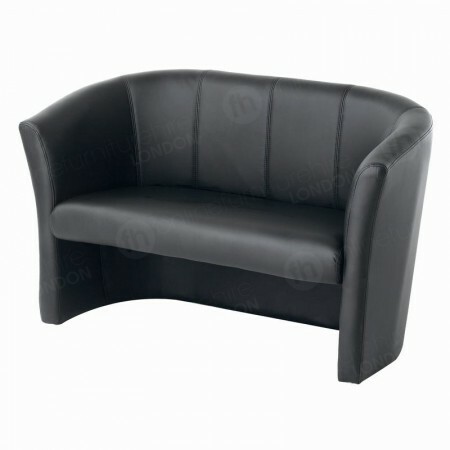 Sleek, leather and cushioned - there’s not much more you’d want from soft seating… perhaps a great price? Well we can offer all this, in addition to same day deliveries to London and nationwide next day deliveries too. 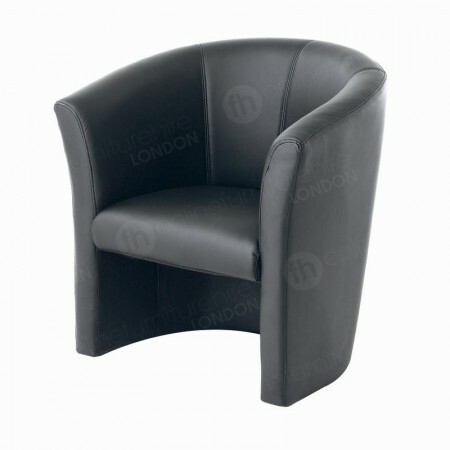 Our tub chair range is very striking to look at - an amalgam of smooth curves, contemporary black leather and a cushioned seat and back, it’s a favoured product for all kinds of elegant locations, like London exhibitions, galleries, waiting areas, lounges, cafes, bars, hotels, offices and events too. Because of the black finish it’s possible to install our tub chairs as part of bold venue design, especially when you combine them with those very elegant furniture hire products - such as our walnut coffee tables. On the other hand, you’re also free to team our tub chairs with items that are very complementary in terms of finish, including our walnut coffee tables, high gloss black coffee tables and rectangular coffee tables. A beautiful finish is just one of the benefits offered by our tub chairs, they’re also top quality and designed to be very comfy too. The upholstery and lumbar support, mean that these are sofas you can fully relax on, perfect for those venues that are designed for unwinding, like cafe, bar and lounges. We have two sizes available, including our one seater and twin model, giving great versatility, as you can arrange our tub chairs in lots of configurations for smaller and larger groups of people. In addition to our sofas and coffee tables, there are many other combinations of products available when it comes to our sofas. Our event and party range features some fantastic items, allowing you to create stunning VIP areas, with the help of our red ropes and chrome poles for example, and when you need other types of soft seating we have even more sofas available!